balcony house, originally uploaded by The Bacher Family. Balcony House, in Mesa Verde National Park. I love patterns. 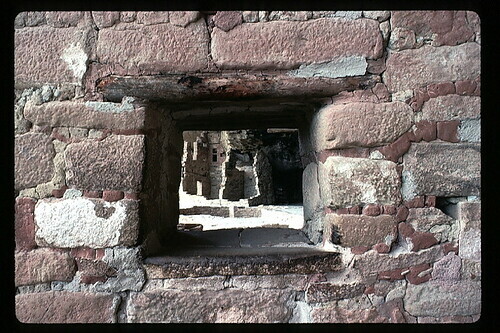 I like this photo because it contains both patterns and framing, with the ruins of Balcony House framed by a window elsewhere in the ruins. Close up, you can see the amazingly detailed architecture, which has survived so well the passage of the centuries.